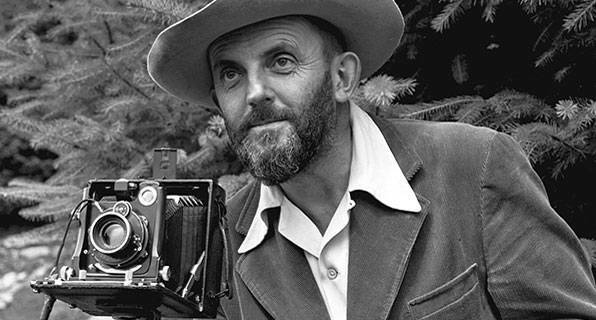 Ansel Adams was the most important American landscape photographer of the 20th century. He might also be the most widely known and respected of all American photographers, whose legend continues through books and television documentaries, and through the prevalent reproduction of his work on calendars, posters, postcards and other ephemera. Adams's professional life was dedicated to capturing through his lens the forgotten and unspoiled wilderness of America's national parks and other protected conservation areas in the West. He was a committed environmentalist and nothing short of an icon for the 20th century conservation movement. Adams and his friend and colleague Edward Weston founded Group f/64 whose commitment to the idea of a pure, or "higher", photography helped shape the history of early-to-mid 20th century modernism and secured photography's place - as fine art - within it. Adams himself was a highly accomplished technician. He published books - or manuals - on the technical aspects of photography and he used his own portfolios to help lobby politicians for the creation and upkeep of American National Parks. In 1952, with Beaumont and Nancy Newhall, Dorothea Lange, Minor White and others, Adams co-founded the photography quarterly, Aperture which was part of Adam's career-long mission (started with Group f/64) to promote the merits of serious, contemplative, photographic art. Aperture still publishes to this day. In the mid-19th century, the painted American landscape was most readily associated with the so-called Hudson River School. The School tended towards idyllic tableaus showing scenes of calm pastoralism. It was a style disparaged (albeit somewhat harshly) by modernists who thought the Hudson tradition in photography merely reinforced the conservative taste for wistful picture narratives. Adams believed that, if approached in a spirit of the age of modernity, landscape photography might in fact match music or poetry in its potential to stimulate a sense of higher contemplation in the spectator. Adams's goal then was to capture the true majesty of the natural world within a single frame and, if he could achieve this using a combination of technical skill, dogged leg-work and intuition, then the better the chances of producing landscapes that were more than just pictorial. Though his fame is founded on his iconic American landscapes, Adams also produced a small number of still life studies. Like his landscapes, Adams brought a modern sensibility to what was a traditional painterly genre. Without distorting the objects in front of his lens (as was, say, Weston's preference), Adams used sharp focus to emphasize primary elements and relations between objects that might have ordinarily gone unnoticed. In this sense he demonstrated how the photographer could invite the spectator to consider the beauty of everyday things by using the camera to remove, or "liberate", the objects from their original setting. As co-founder and active member of Group f/64, Adams and his colleagues took Paul Strand's Straight Photography principles and customized them to the ends of promoting a higher art. Whereas Strand's images were flat (by design), Adams's were all about ultra-sharp depth of field (the appellation f/64 was an optical reference to the aperture setting (f/64) that produced the finest picture detail). However, Adams brought an added level of personal commitment to his technical know-how. Led by his affinity with the natural world, he would often trek between dawn and dusk in order to find the right location from which to secure his images. Adams was known not just for the brilliance of his images, but for his technical expertise too. His book Making a Photograph (1935) was a highly distinguished instructions manual illustrated with his own prints. It was through his pursuit of technical mastery indeed that Adams and Fred Archer developed what became known later as the "Zone System," a method by which the photographer could "pre-visualize" the tonal quality of the final image at the very point of taking the picture. The love of the outdoors and the joy of recording nature made Ansel Adams the quintessential landscape photographer of the 20th century. 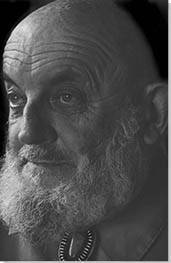 Interactive chart with Ansel Adams's main influences, and the people and ideas that the artist influenced in turn. First published on 28 Nov 2018. Updated and modified regularly.